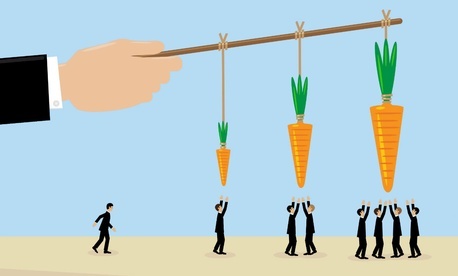 Do Performance Incentives Make People Greedy? Organizations that use employee performance incentives therefore might want to consider the potential consequences of increasing workers’ materialism, such as tougher negotiations with employees who want higher salaries or eventually losing workers to better-paying jobs. The researchers surveyed 460 sales people at dozens of dealerships for a large auto company in Asia. At half the dealerships, the sales people’s salaries depended entirely on commissions. The other dealerships were largely salary-based, with only 10 percent of pay coming from commissions. Roberta Kwok is a freelance science writer based near Seattle. This piece is based on the research of Julia D. Hur and Loran Nordgren. It was previously published in Kellogg Insight and is republished here with permission of the Kellogg School of Management. Previous Post | One More Time: Can Government Be Run Like a Business?